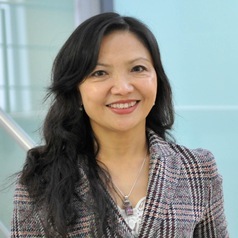 Professor Qing Wang was previously a faculty member at SPRU, Sussex University before joining Warwick Business School in 2000. She held visiting professor positions at several universities including Fuqua School of Business, Duke University (2004-5), Tsinghua School of Economics and Management, Tsinghua University (2002-3), and Insead, Singapore (2009). Professor Qing Wang is a Fellow of the Royal Society of Medicine in the UK, Academic Member of the Marketing Science Institute in the U.S. and External Expert for China's National Research Centre for Technological Innovation. She is Member of the Association for Consumer Research (ACR) and European Marketing Academy (EMAC). She published in leading refereed journals including Journal of Marketing Research, Journal of Product Innovation Management, and Research Policy. She is the Director of the MICE (Marketing, Innovation and the Chinese Economy) network and is Associate Editor of Journal of Research in Interactive Marketing and International Journal of China Marketing. She has consulted for companies in the UK, US and China.